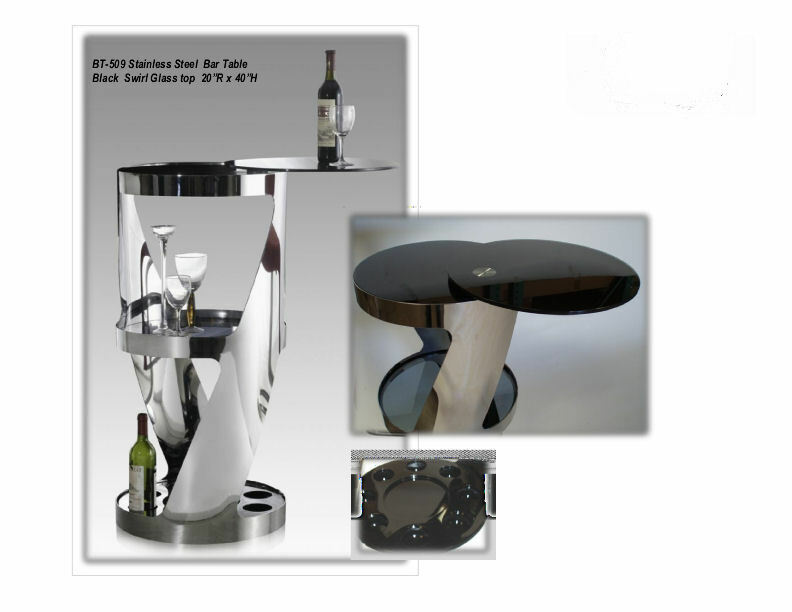 $ 1,150 - #509 Bar table | 20" diameter x 40 4/7" H.
#509 Bar table in polished stainless steel and rotating Black glass top. 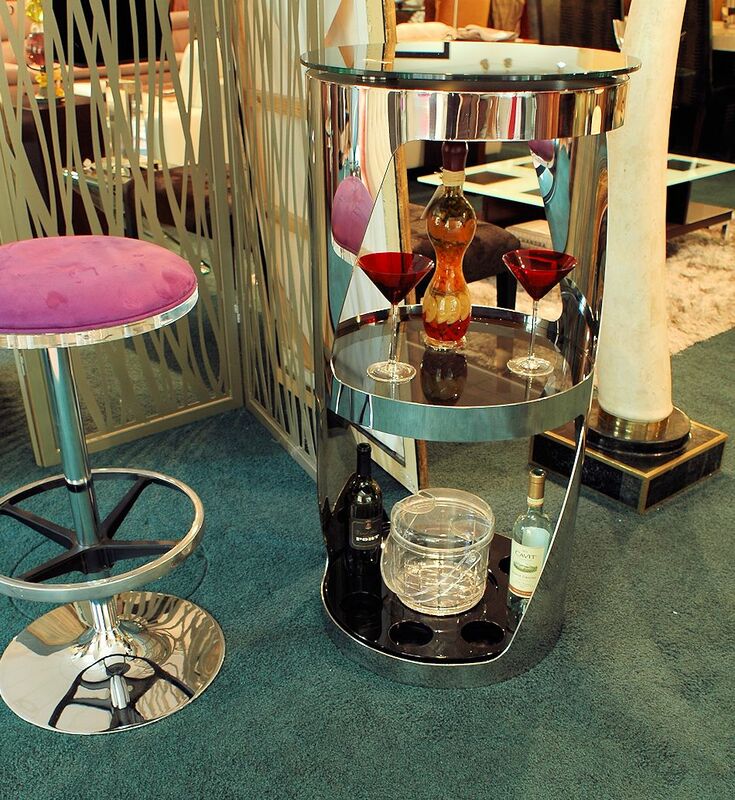 Rotating double top black glass and swivel bottle holder on the bottom. 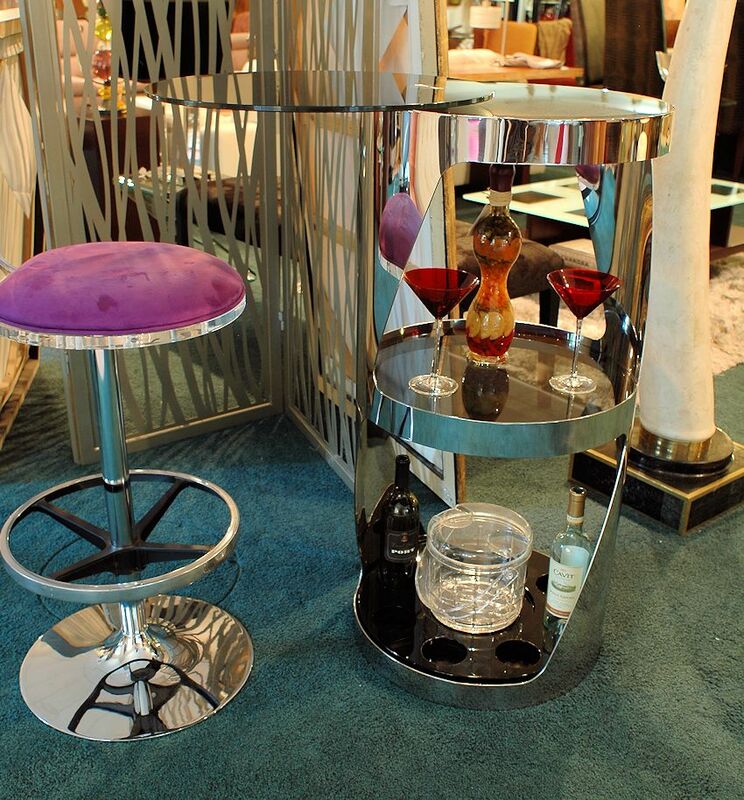 Designer bar furniture at a reasonable price.